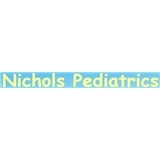 Nichols Pediatrics (New York) - Book Appointment Online! Our practice has been providing personalized pediatric care to the Morningside Heights and Harlem communities for 34 years. We are a family-centered private practice featuring two board certified pediatricians and two pediatric nurse practitioners. We look forward to having you and your child join our pediatric family. Click on the links to the right for more information about our practice. It’s so amazing to find a doctor that accepts medicaid in nyc and gives such a positive experience. From the moment I walked into the office the staff was kind and super patient. My 1 year old attempted to do as 1 year olds do and run into the back and instead of being scolded or being looked at funny I was surrounded by positivity and help. This is the first time I sit in a pediatricians office and every single staff member wanted to be there and wanted to be working with children. I felt very much at home. I was informed by staff and Dr. Christiana Nichols about several things regarding insurance vaccines nutrition etc that I was unaware of. Listened to every concern without judging and educated me wherever needed with a calm and kind demeanor. You feel how much she truly cares about the patient. Will continue bringing my son here for as long as the office is open. Best experience with a pediatrician I’ve ever had!